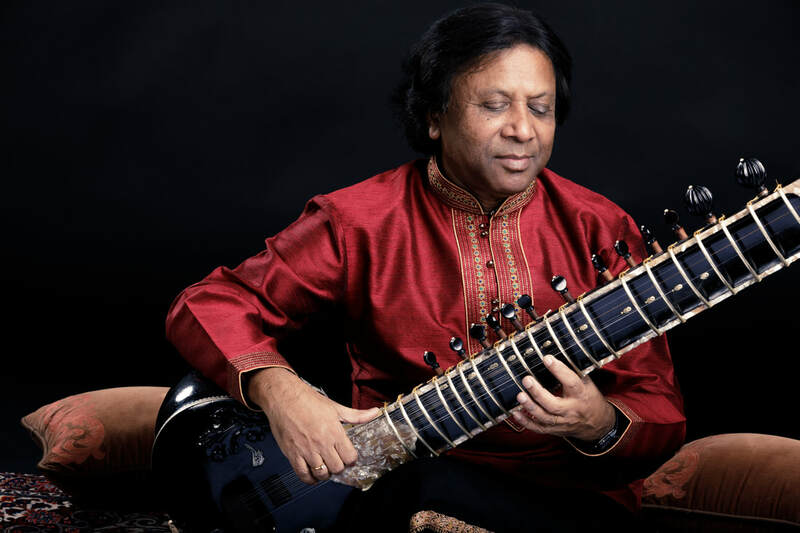 One of the world’s leading sitarists, Ustad Shahid Parvez belongs to an illustrious musical family and has achieved success in not only preserving the tradition, but in pushing its boundaries to greater heights. He is one of the leading exponents of the Etawah gharana (tradition), which was popularized by the great Ustad Vilayat Khan, and belongs to the seventh generation of this musical lineage. He was initiated into the rich music of the gharana by his father Ustad Aziz Khan, who was the son of the legendary sitar and surbahar virtuoso Ustad Waheed Khansahab. Shahid Parvez was recognized as a child prodigy and started performing in public by the time he was eight years old. He is the recipient of numerous prestigious awards, including the Government of India's Padma Shri and the Sangeet Natak Academy Award. He is accompanied by the dynamic Nitin Mitta, one of the most prominent tabla (drums) players of his generation.